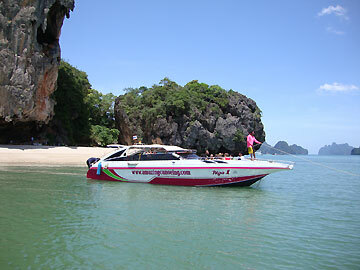 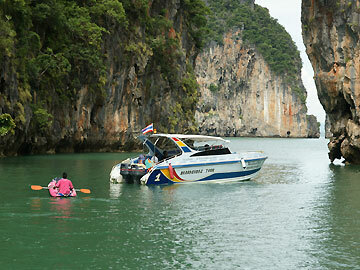 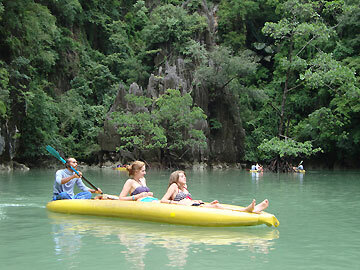 This special full day trip offers you an excursion for exploring Phang Nga Bay by Speed Boat. 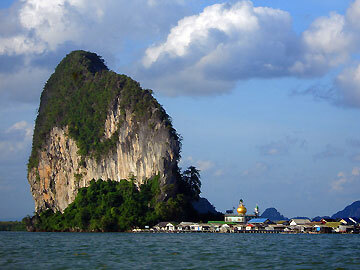 Along the bay, you will enjoy panoramic views of fauna and flora at Panak Island, and the amazing limestone mountains at Hong Island. 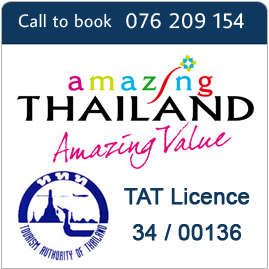 This trip also offer you a visit to Koh Tapu (Famously knockon as James Bond Island), Tamlot Cave, Muslim village called Koh Panyi. 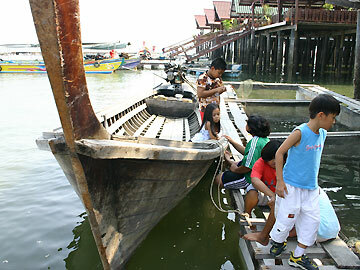 08:00 - 09:00 Pick up from your hotel and transfer to pier. 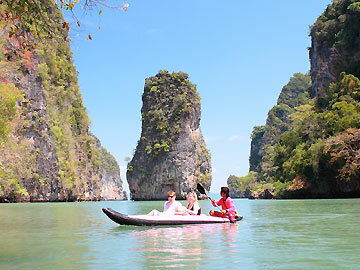 11:00 - 12:30 Enjoy the spectacular scenery of Panak Island or Hong Island by canoeing. 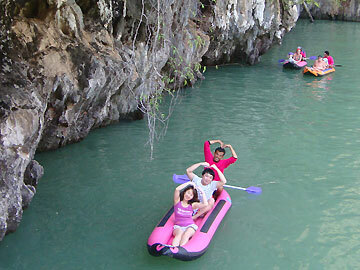 Inspect the natural wonder of Talu cave and surrounding mangrove forest. 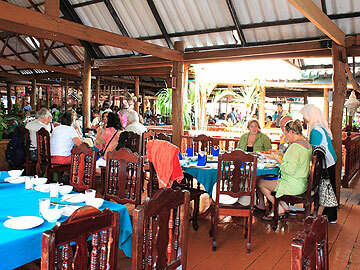 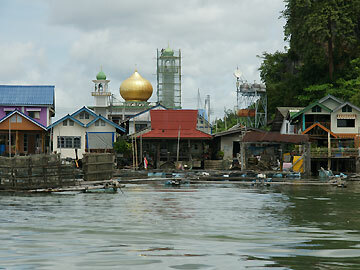 Lunch on Panyee Island with the time to visit Local Sea Gypsy village.